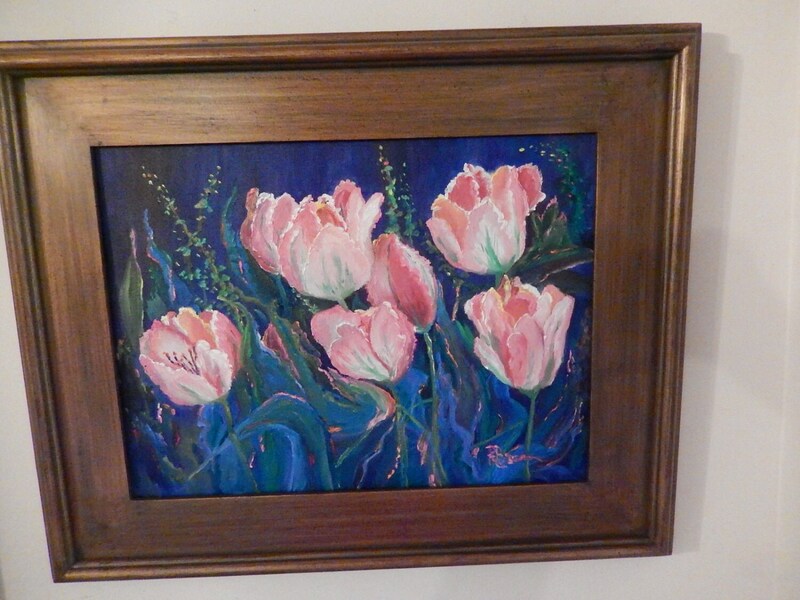 SPRING PINK TULIPS is an original 12" x 16" UNFRAMED oil painting. This is an incredible painting! 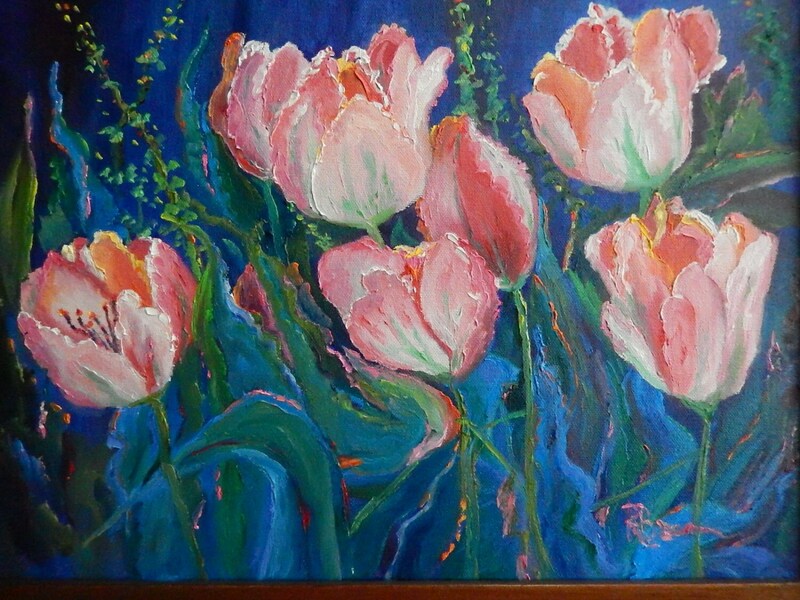 It is a bright, colorful scene of tulips in the spring. The flowers are bright pink and they invite you to get a closer look to see if the flowers are real. The other pictures are a closeup of the flowers. 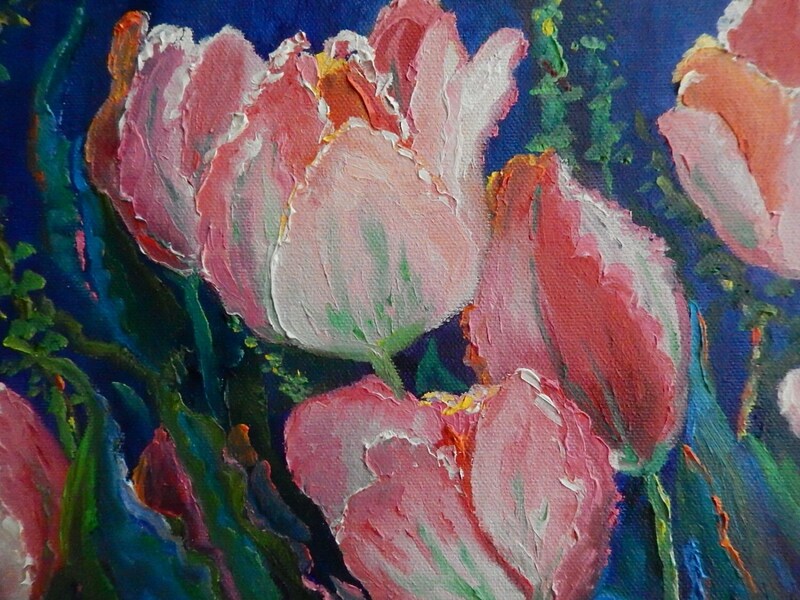 This painting is Very attractive and would brighten up any room. The colors are striking. The leaves weave in and out of the foreground with colors of teal and greens. The tulips themselves are exquisite. There is an impressionistic feel to the whole painting which is very pleasing. 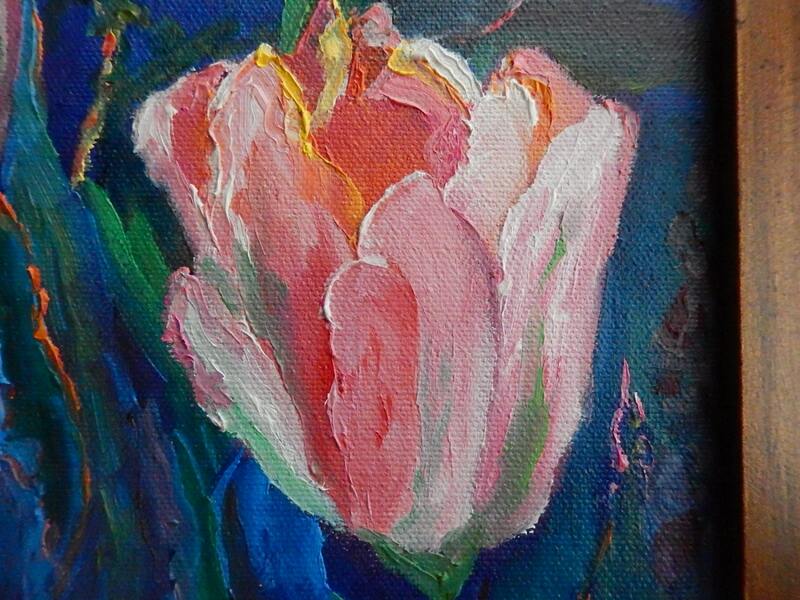 This is an original oil painting by Rose Brenner. It is not a print. It is signed and ready for framing. One picture shows the painting framed. This is to show how a frame sets off the vivid colors of the painting. Even though a frame is not included, if a frame is wanted, please send an email and we can negotiate a revised offer. This is a very attractive painting that anyone would be pleased to own.